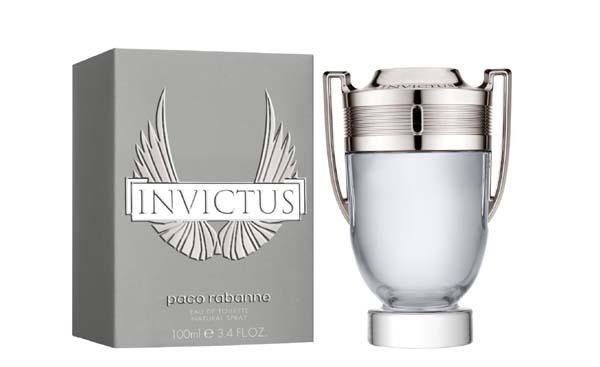 Invictus (Eau de Toilette) is a perfume by Paco Rabanne for men and was released in 2013. The scent is synthetic-sweet. It is being marketed by Puig. One of the first perfumes I ever bought. It was October 2013 when I smelled this fragrance for the first time. I was immediately blown away and shortly afterwards happily received it as a present from my father, as I often came home with my wrists sprayed full. By the way, this is not an analysis of the scent, but only my subjective opinion. Ingredients? Quality of these? Things I didn't care about. I really fell in love with this fragrance because I had a hard time finding something that really knocked me down. Some were too aquatic for me (like shower gels), others were too bitter and others too sweet. Invictus has something of everything I find. Of course one perceives sweetness superficially, but by bringing a certain freshness and spice with him, he does not seem so overwhelming to me. I love that I can wear it (well dosed) at any time and season, which is why I associate so much with it. I started wearing it when I was 18 and I still like to wear it when I'm 24. It reminds me of many moments of my I call it "growing up", has become "my" fragrance and I have almost always got only positive feedback to him. Every now and then I think of having a trophy in my cupboard, the content of which is supposed to be "invincible" or "unconquered", is a bit kitschy, but it also has something cool. Invictus was and still is my companion, although not so often anymore, because my fragrance collection no longer consists of only two or three fragrances. But when I then spray it on, I immediately feel like I'm back to the "beginnings" with it, as you probably have with any fragrance with which you associate a lot. In the meantime I already emptied 4 bottles, the last one will probably last until the end of summer. Awful fragrance? Not a chance! These days it's fashionable to hate on the Invictus and the 1 Millions of the world. It's easy to hate them because they became too popular, because every 'average joe' has it even if they don't belong to the fragrance community but I don't think it's fair to punish a fragrance for its own success. Invictus was quite a staple when it came out, eventually most houses created something around what these popular fragrances built and they even improved but this doesn't take way from such scents. 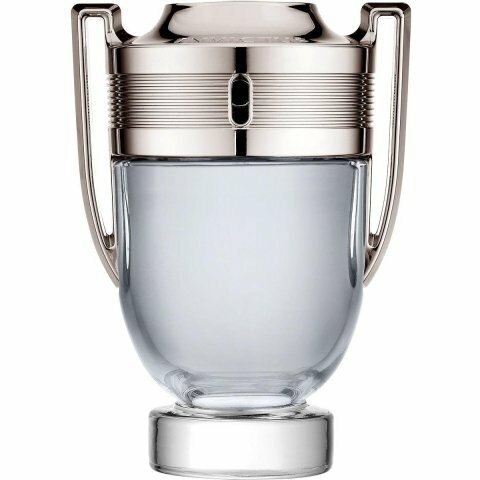 I really loved Invictus when it first came out, even now adays I consider it an amazing scent even though I hardly wear it anymore. I still have 30% of that forst bottle and I'm glad I do. Despite the hate, I quite like it. Sweet, slightly fresh and woody fragrance that was definitely made for the teens. The fragrance opens up with a sweet yet fresh bubble gum vibe and drys down to a sweet, woody vibe but still maintaining that bubble gum. This was a good compliment getter, many of my female friends and co-workers liked this one. This is a great fragrance for young adults, it has good projection and longevity, it got me through a solid 8 hours. I rather liked the fragrance myself, despite all the hate for it, I would happily wear this fragrance in the right situations. It's not the best fragrance I've tried but it does has a lot more going for it than some people are willing to admit. I'm a believer in if you like something, go for it, don't worry too much about what other people think. He's surrounded by three other perfumers. They have not created anything near as legendary, partially because they're younger, but since they were chosen by the master, it can't be, they must be of some considerable worth and potential. The perfume world is holding its breath. And after what seems to be a strenuous effort in taming the extracts, the resins and the oils, an effort from which nothing less than a masterpiece should be expected, they give us...Invictus. Really guys? No, I'm serious, really? Did this storm in a teacup really require the combined efforts of four to create it? It's not a horrendous fragrance per se, but come on! I could make a better scent in an afternoon. "But... But this marvellous blast of marine notes topped with delicious grapefruit and crowned with laurel..."
Believe me, I know of marine notes, I'm from Greece. These are not marine notes. This is a chemical mess! Not a single person who lives by the sea would perceive this cacophony as "marine". And Invictus? For reals? Who were its opponents during its struggle to the title? Nothingness and complete incompetence? 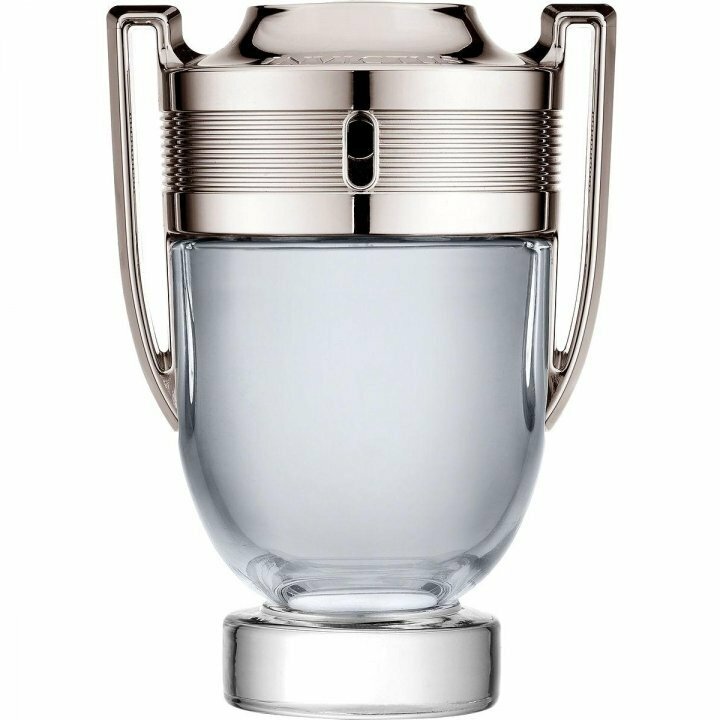 It wouldn't last a single round against any of the dudes of Paco Rabanne's glorious past. And I don't mean 1 Million, cause it wouldn't stand a chance against it either. As for its bottle, unless it's a joke, it's kitsch redefined. It reminds me of something "Made in an Asian sweatshop" that could be found in a souvenir shop with "You are the champ!" written on it. Or a promotional table lighter on the desk of an underground car repair shop. Made in an Asian sweatshop as well. Oh wait! Wasn't it Avon that paved the way for funny looking bottles? At least Avon bottles achieved a certain cult status over time, while this bloody poseur seems to really expect us to be stunned by its gravitas right from the start. The only positive thing about it, is that it spares me the chore of writing a review for Burberry's Brit Rhythm (what an "inspired" name! ), cause by simply reversing the names and subtracting Veronique Nyberg from this unholy equation, there, you have it already! I sampled this one at Nordstrom today. Initially, I was underwhelmed with the top notes and the synthetic, too sweet jasmine. Within 30 minutes this had changed from something I don't like to a scrubber fragrance from hell. Sweet, cloying, and vile to my nose. I will credit it with tenacity, because it took one heck of a scrub to get it off my arm. If you like it, you should get great sillage and longevity with this, I will grant it that. Not recommended for a blind buy. The king of all generic scents.